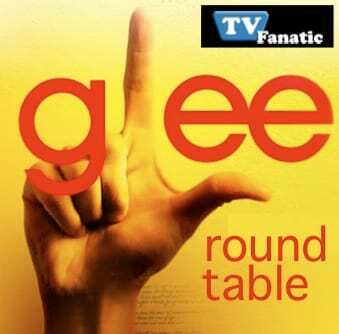 From new characters to new songs, the second season premiere of Glee has given our Round Table panel plenty to discuss. What was your favorite quote from the episode? M.L. House: It was subtle and quiet and uttered in the background, but astute viewers hopefully picked up on Brittany's line when watching Santana and Quinn fight: "Stop the Violence." LJ Gibbs: I never thought I'd give this award to anyone but Sue Sylvester. However, Coach Beiste had me rolling with her non-sensical insult: "You're all coffee and no omelet." The Barancle: TV Fanatic talked to the actor that plays him, so let's give props to Jacob and his meta commentary to open the episode, especially this quip to Will: "Did you know there's a forum on my blog begging you to stop rapping?" What was your favorite song from the episode? M.L. House: Charice, as Sunshine, belting out "Listen." I can't believe such a big voice comes from such a little person! LJ Gibbs: Rachel's closing number. Only Lea Michele can combine such incredible talent with such raw emotion. Embarrassing admission: I've listened to it 27 times already today. The Barancle: Did you see how many times Rachel flips her hair during her duet with Sunshine on "Telephone?" Amazing stuff. Here's to hoping for plenty more back-and-forth musical numbers between these two! Who was your favorite new character? M.L. House: Gotta go with the Beiste. Kudos to the show for avoiding another Sue (I love her, but we only need one on the series!) and instantly giving the coach a sensitive side. Loved seeing such depth to a new character so early. The Barancle: He was barely in the episode, but gonna say the new coach of Vocal Adrenaline. He's played by Cheyenne Jackson, who guest-starred on 30 Rock last season and who I adore from his time on Broadway. Will Tina get back together with Artie? M.L. House: You have seen Mike dance, right? And take his shirt off?!? Sorry, Artie. You're gonna have to move on. LJ Gibbs: No, but that's okay. Artie will find another video game with which he'll play a marathon session (woman!) and forget all about Tina. The Barancle: I hope so. Mike can have any girl he wants due to those incredible dance moves. Let Artie get with Tina, dude. Tartie forever!